Lovers of ballads, romance, R&B and red hot euphony will love the music of Dru Hill who are presently on tour celebrating their 20 year anniversary. As part of the tour, Dru Hill will appear at Lehman Center on Saturday, March 26th at 8:00 p.m. Lehman Center for the Performing Arts is located at 250 Bedford Park Boulevard West in the Bronx. Dru Hill wont appear alone. They will share the Lehman Center stage with artists Kenny Lattimore and Jon B, so the venue may need to keep their fire extinguishers handy because the evening promises to be filled with hot, hot, sizzling hot music. This writer had the opportunity to talk with the 4-member Maryland bred group who make up Dru Hill. The talented singers consist of Tamir “Nokio” Ruffin; lead singer Mark “Sisqo” Andrews; Larry “Jazz” Anthony and Antwaun “Tao” Simpson, aka Nokio, Sisqo, Jazz and Tao. “We were raised in Baltimore and Annapolis. Some of us started off in the Church so the group began singing gospel songs under the name 14K Harmony. We sang in Church and at talent shows, so the music started to have a blend of church and rhythm and blues. Our music was not churchy per se, it was more inspirational and featured what goes on in people’s lives. We all came together because of the music. Jazz and I went to performing art schools but we all had vocal training,” said Nokio, the group founder, in-house producer, songwriter, dancer, singer and rapper. When asked how the group came up with their name they mentioned a famous park in Baltimore. “When we first started, the record company was trying to think up a name for us. They had a few ideas including calling us “The Together Brothers,” none of which fit. One day while on the phone I was asked the name of the famous park in Baltimore which is called Druid Hill. But all the locals call it Dru Hill. It was a perfect name to call ourselves because Dru Hill will always serve as a reminder where we came from,” explained the group who have also created music and won awards individually. Dru Hill talked about the need to understand the making of music as well as being astute about the business of music. “We were lucky to get into the music industry when we did. When we first started the first person we met was John McClain of Interscope Records. John went on to be Michael Jackson’s management. John told us that if all we did is sing we would not be in the music business long. So we were groomed to be self sufficient. Therefore, its been great to share with our fans all the talents that God has blessed us with. Artists can get cheated, robbed and worse make bad music. We were lucky that we came into the music business at a time when artist development was really skilled and prevalent and labels invested money into the artists. These days, if someone has a hot song and enough people hear it, the label basically will add money to keep whatever recording artists are doing ongoing, but will put little work into developing the music. The attitude is, if the music has sales potential, everyone wins. Even though it may not be the best music in the world or even the best production. The music world thinks few care about talent or being talented any more, so the labels may as well sell whatever they can,” commented the group members. Sisqo, Jazz and Nokio took a hiatus from late 1999 to 2002, so they could all pursue their own projects. 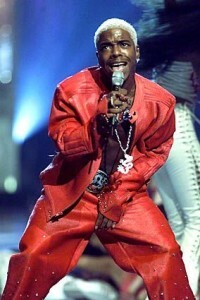 Sisqo’s debut album Unleash the Dragon featured the single “Thong Song” which became a hit and pop success, establishing Sisqo as a name outside Dru Hill. Jazz (who was absent from my interview) put out a R&B/Soul album and Nokio worked with his rock band Black Angel Down. Tao came into the group in 2008 after winning a talent contest called “Dru Idol,” making him the fourth member of the group. 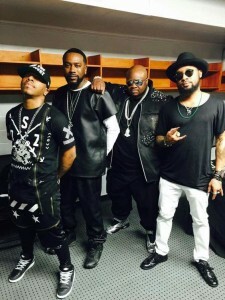 As mentioned previously, Dru Hill is presently on tour celebrating their 20 years together. For tickets to their Saturday, March 26th show at Lehman Center call the Box Office at 718-960-8833 or go on line at www.LehmanCenter.org. Also interested parties who wish to follow Dru Hill can do so via http://www.druhillonline.com/ or get the Dru Hill app from the App store, or via Amazon Google Play.